Voted the greatest symphony of all time in a survey of 151 conductors by BBC Music Magazine, Beethoven’s Symphony No. 3 melds the elegance of the Classical period with tempestuous early Romantic passion. Here it’s performed alongside the full-throttle drama of Tchaikovsky’s intoxicating first piano concerto. Opening the concert is the overture from Mozart’s opera, La clemenza di Tito, written just a few months before his death in 1791. Please join us for a pre-concert talk with conductor Antony Hermus from 6 to 6:45 pm. The talk takes place at Miller's Music (12 Sussex St, Cambridge, CB1 1PW), just a 5 minute walk from the Corn Exchange. 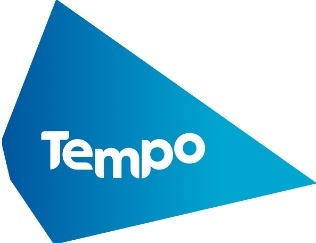 Tempo Time Credit systems support people in giving their time to strengthen communities and to design and deliver better services. They work on a simple hour-for-hour basis: for every hour you give to your community you earn one Time Credit, which you can then spend on an activity of your choice. You can give time in ways that match your skills and interests, and spend your Time Credits with our diverse range of fantastic partners across the UK. Pre concert talk with conductor Antony Hermus, 6:00pm - 6:45pm (Venue TBC). Hundreds of people each year are becoming full series (all 7 concerts) subscribers and enjoying the benefits. Why not join them?